Is Audiophile Music Listening Doomed or Can High-Quality Music Save the Day? After years of advancements in fidelity - if marked by generational sound quality set-backs before advancing again, as with tubes to solid-state in the late 1960s or analog to digital in the early 1980s - we saw an unprecedented set-back with the generation of data reduced music files and streaming that music fidelity has yet to recover from. It may never. It's now been 16 years since the launch of the iPod and all that it ushered in; at least a generation of listeners, if not two or more. 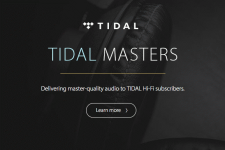 True, there are now high-resolution streaming services available, most notably Tidal which offers CD quality and MQA content. I was an early subscriber to Tidal and I love it and I've been impressed by MQA, yet Tidal's subscriber base remains stubbornly tiny. You can also download at up to 24-bit quality if you desire. I've been thrilled with the high-resolution albums I've downloaded but downloading generally has at best a niche future in an on-demand world. The sad reality is that most people have been satisfied, I'd like to think out of ignorance, with low bit rate streaming. Paradoxically, the CE industry has promoted ever higher resolution and larger format video but has done the opposite with music. 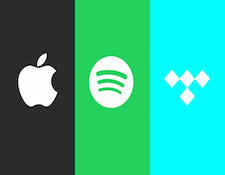 Industry leader Spotify, with over 100 million subscribers, offers ad supported streaming at 96kbps and a paid "extreme" version at 320kbps; Apple Music is 256kbps and Pandora's ad supported service is a pathetic 64kbps with paid Pandora One jumping up to 192kbps. Forget about Sirius/XM; you might as well be listening to a can on a string. These services are the current baseline. Recall that the CD is a 1411kbps format. Smart phones are now the dominant audio playback device, mostly through headphones or through small external speakers but sometimes through the phone's tiny little built-in speaker. Not long ago in a Facebook exchange, I opined that smartphone-level sound "doesn't sound like music" and I was taken to task by another industry person asking rhetorically, "If it doesn't sound like music, what does it sound like - static, white noise?" Of course, I wasn't being literal. I meant that so much of the essence of the music-the body, the dimensions, the dynamics-are eviscerated with very low fidelity playback that while still recognizable as music, it's lost nearly all its meaning. I saw a sticker once that read, "bad sound kills good music." Across my personal and professional experience, I've never questioned that notion, whether sound in my home or at a live, but amplified, event. It just always seemed self-evident to me. In fact, when I buy new music I nearly always wait to listen to it until I get home to my main system because I don't want that first experience to be tainted, perhaps by my very good car stereo or even with excellent headphones on my laptop. This has been an intuitive habit but thinking about it, I realize that once I've established a relationship with that music, I can step it down to lower fidelity, unconsciously filling in the missing gaps in my mind, but if I form an opinion based on low fidelity that can be damning. But if people still enjoy listening, isn't that enough? I think that if you really care about music you should be horrified at what's happened to music playback. In the past, lower fidelity options were always available (8-track or cassette relative to LP or reel-to-reel) but you tolerated those formats for convenience; you didn't love them. The dominant format was the best sounding one. In contrast, people whose music listening has been weaned on low fidelity sources can't possibly fill in the gaps that are missing from the playback experience if they aren't even aware there are gaps. Today you have to go well out of your way to listen to a full resolution format and most people don't. Music is a living, breathing art-form. It needs its body, dynamics, textures and dimensions to be fully appreciated. These are the elements that give it humanity. For generations those people driving recording and playback technologies and the consumers they served were trying to capture as much of music's essence as possible with genuine passion. Now I fear people too often think they know what Beethoven sounds like after listening for a moment on a cell phone, and that'll they dismiss the greatest classical composer as a result (as they likely would if I showed them a picture of the Mona Lisa on my phone). The same might apply to The Beatles, my hero Stevie Ray Vaughn or the latest hipster band from Brooklyn. You just can't really know what these artists sound like, how compelling their art is, via the dominant playback formats today. In my youth, someone in a circle of friends had a respectable stereo set-up (my dormitory in college had competing systems up and down the hall) and we'd gather communally to listen to a new record. Of course, this wasn't as powerful as hearing the music live but there was enough substance there to convey the music's meaning. We're way off track in the mainstream of music playback now and I think we need to fight to bring fidelity back to the fore for the sake of music itself. I also happen to believe that what's good for the music is also good for the business; low fidelity is a weak product.